The Koyasan Stone Marker Path starts from Jison-in in Kudoyama and ends at the mausoleum of Kobo Daishi in the Oku-no-in of Koyasan. The distance between two stone markers is around 109 meters. From Jison-in to the Garan on Koyasan there are 180 stone markers and from the Garan to the mausoleum in the Oku-no-in 36 stone markers, a distance of around 24 km and additionally there are 4 “riseki”, each of which is placed every 36 stone markers(1 Ri = 36 cho). 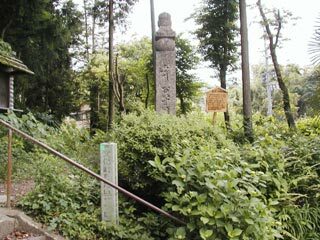 Originally the path was signed by stupa-shaped wooden sticks which had been replaced in l265 A. D.(Bunei 2) by stone markers on suggestion of the priest Kakukyo of Henjo-ko-in on Koyasan. Adaji Yasumori, a leading figure of the Kamakura Bakufu solicited the abdicated emperor Go-Saga (1220-1272), and the two relatives, Hojo Masamura and Tokimune, strong influential personalities of the Bakufu for the realization of more than 200 stone markers. After a period of 20 years the project was completed in 1285 (Koan 8). The height of the stone marker is about 3 m and the top has a shape of the gorinto (gorinto: stupa in the forma of 5 elements, from the bottom to the top: cube, sphere, pyramid, hemisphere, tear). 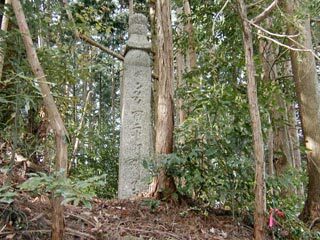 The 36 stone markers on the mountain from Garan to Oku-no-in respresent the 32 Bodhisattvas and 4 Buddhas of the 37 worshipping figures of the Kongokai Mandala. The 180 stone markers from Jison-in to the Garan represent 180 worshipping figures of the Taizokai Mandala. Each stone marker is provided with an engraved number, a Siddham letter (old Sanskrit script) and the name of the sponsor. The stone marker signs the main pilgrim path to Koyasan where in front of each stonemarker pilgrims join their hands in prayer for comfort in the present and the future, as well as for rejoicing in the paradise of Buddha. Climbing up the stairs from Jison-in to Niu Shrine designated by the government, you will see the stone marker 180 on the right side of the gate. 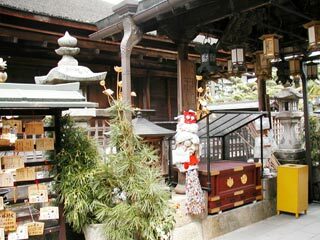 After passing through the great entrance gate “Daimon” in Koyasan you will find the stone marker 1 in front of the Garan. 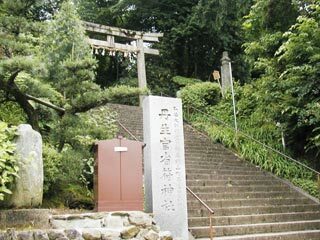 There are 23 stone markers in Kudoyama, 61 in Katsuragi and 96 in Koya. changing in this way the scenery of the path. Since the “Great Heisei Restoration” hikers have been sensibly increasing in number. Much appreciated by the hikers is the four season landscape of Katsuragi town. 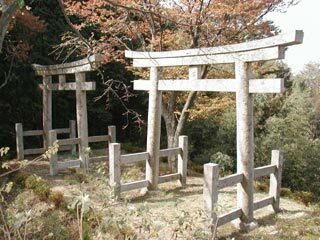 From the “Futatsu Torii” you can enjoy the splendid panorama of Amano village. *Six stone markers show on their surface a Siddham letter together with four ideograms meaning either “chief mourner of the ten directions” or “donor of the ten directions”. 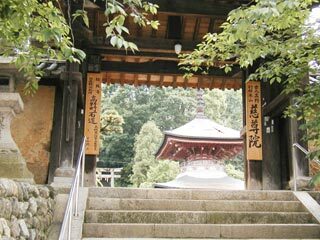 The Koyasan stone markers had been heartfully donated by abdicated emperors, celebrated samurais, ladies and high leveled Buddhist priests as well as monks and peoble without rank and name. Men and women of high and low rank equally participated for the realization of this pilgrim path.